There comes a point in time when enough is enough. For Conor McGregor, that moment came on Thursday afternoon, when he created a maelstrom after a UFC 223 media event. The videos are clear and McGregor was in the wrong, regardless of what occurred earlier in the week. Now it's time for the UFC to act, and if it doesn’t, that creates a situation that the promotion shouldn’t want to see at this point in time. 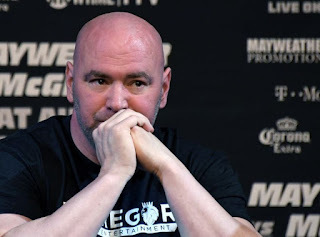 UFC President Dana White had harsh words for the UFC Lightweight Champion, using the terms “criminal” and “assault.” The police were reportedly looking to talk to McGregor in the immediate aftermath, and on Thursday night, McGregor turned himself in to the NYPD. His moment of stupidity resulted in three fights being canceled, as Chiesa, Borg, Anthony Pettis, and Brandon Moreno were forced off the card because of the injuries, and Alex Caceres lost his fight due to Artem Lobov being removed from his bout for disciplinary reasons. Think about the fallout to come, even beyond the major event on Saturday. McGregor has a problem. There are multiple examples to showcase that fact. Everything from throwing bottles at Nate Diaz, to jumping the cage at a Bellator event, to a supposed Dublin bar brawl, those situations stand out as indications of a larger problem. White has talked openly about Jon Jones, even calling him a waste of talent. Now is the time for him to talk about McGregor in the same way. Where does the escalation end? McGregor has a lot to lose as an athlete and a celebrity. He’s done things in the sport that other men and women have never achieved. 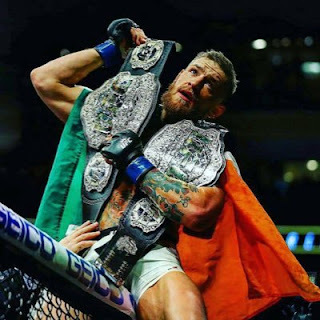 In less than five years he’s made himself the biggest name in MMA, and one of the biggest names across all sports. Each step of the way he’s dared the UFC to push back on him, and the organization has decided not to. If they refuse to respond here then they lose the fight for power with McGregor in every way. The UFC has responded much more harshly for less. Look back at how quickly the organization cut ties with the likes of Miguel Torres, Jason High, Paul Daley and others. Wil they respond the same with McGregor? All signs point to no. However, failing to do so is failing not only the organization, but McGregor as well. He needs to be stopped before he ruins himself.